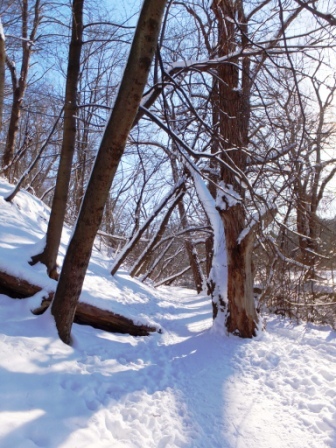 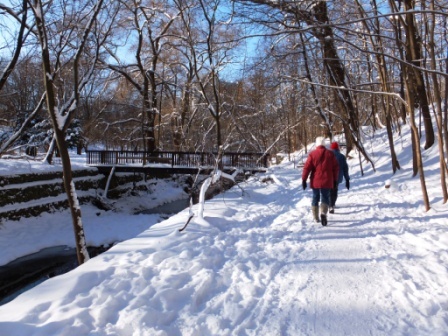 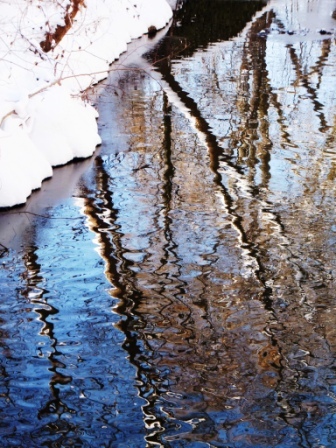 Toronto’s parks and ravines offer great opportunities for hiking and walking. 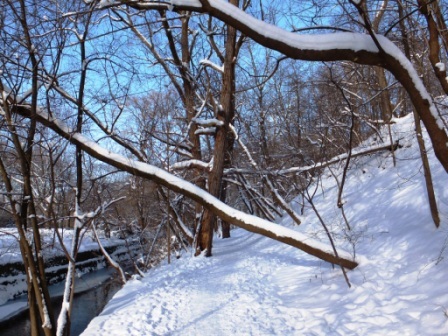 One of my favourite hikes incorporates the Moore Park Ravine and heads south into the Don Valley Brick Works Park and returns back north through Rosedale. 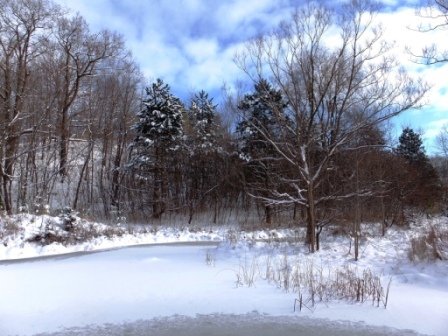 It combines nature with industrial heritage at the Evergreen Brickworks, and continues on through the upscale neighbourhood of historic Rosedale. 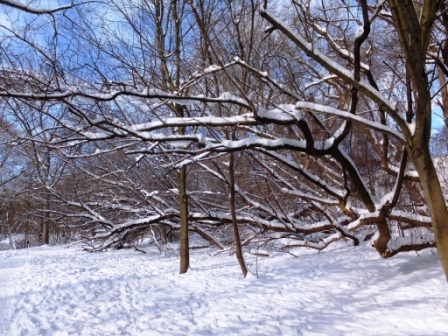 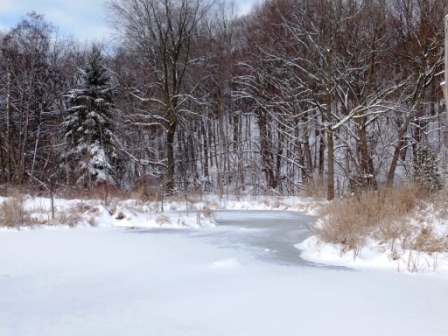 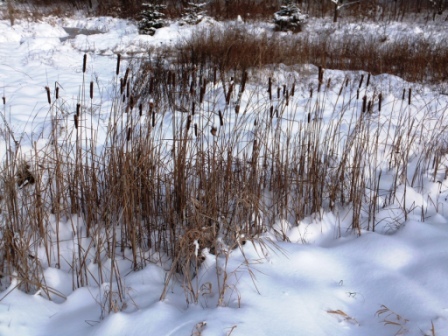 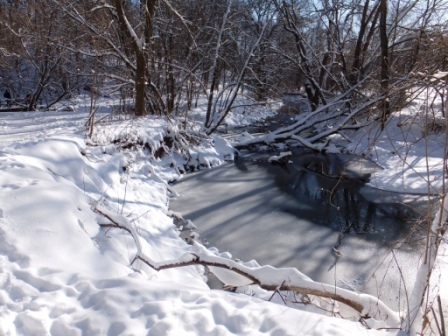 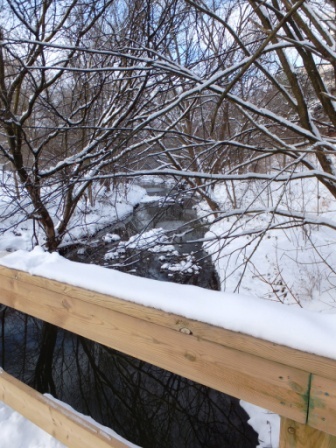 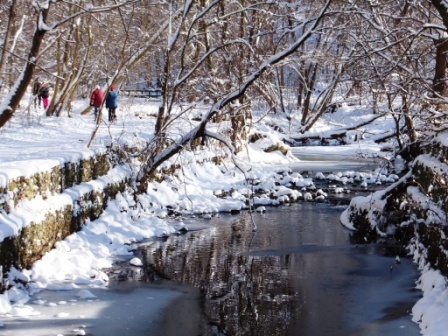 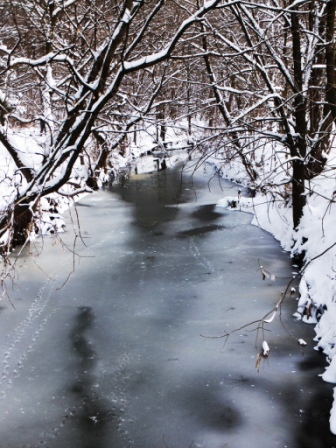 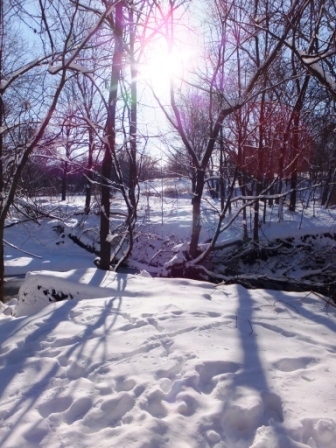 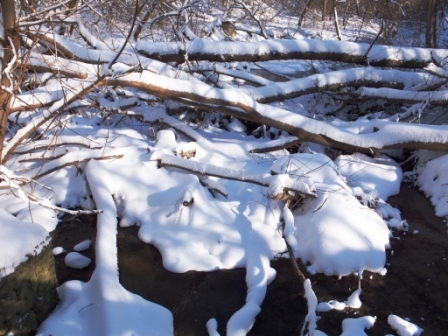 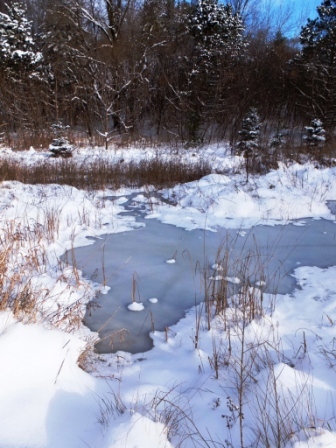 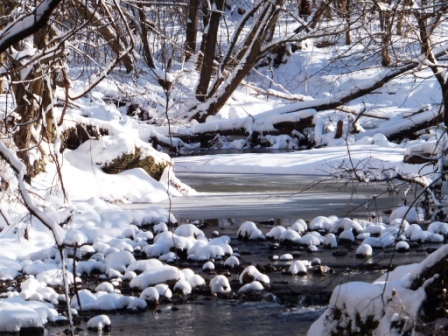 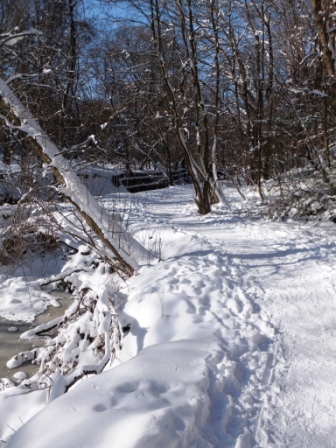 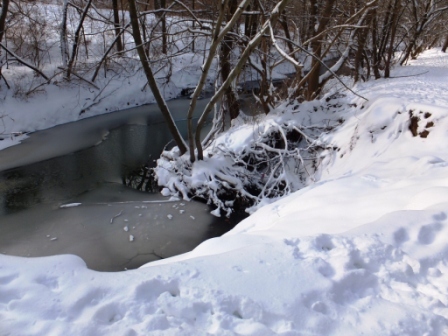 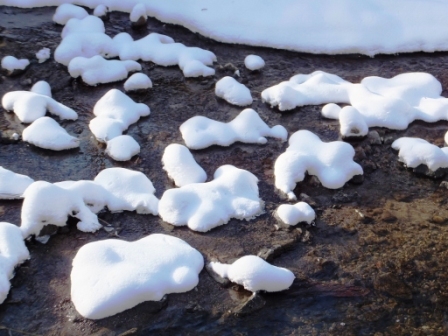 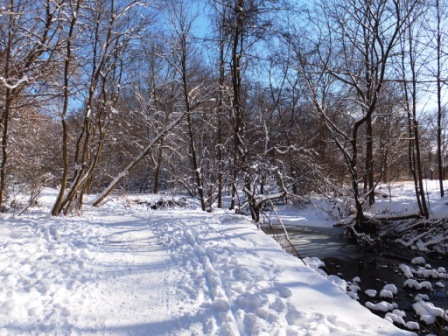 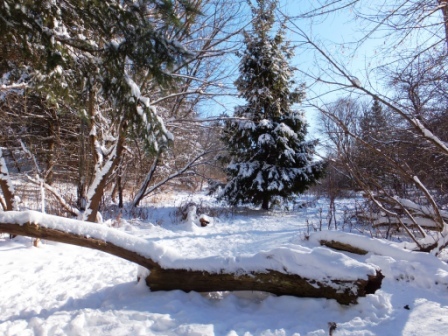 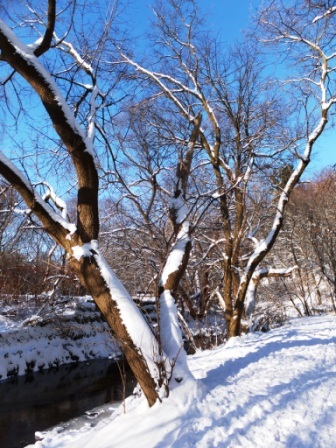 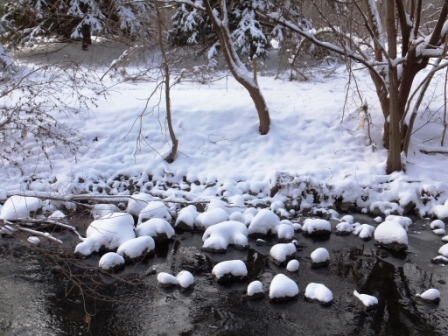 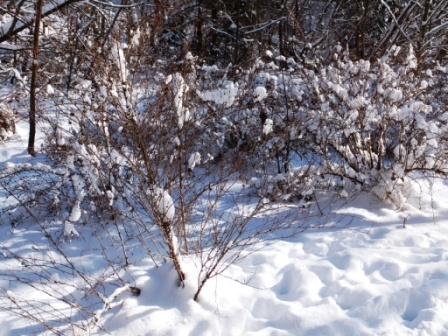 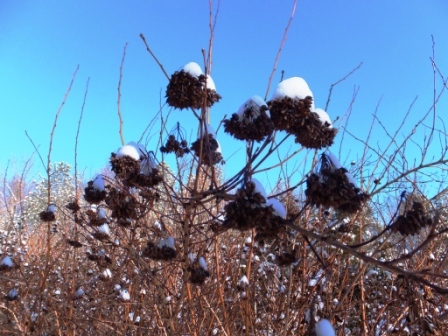 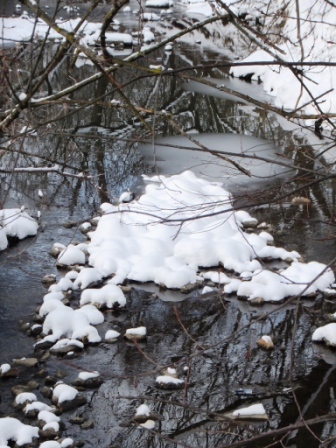 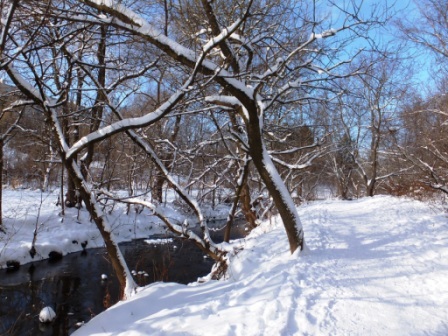 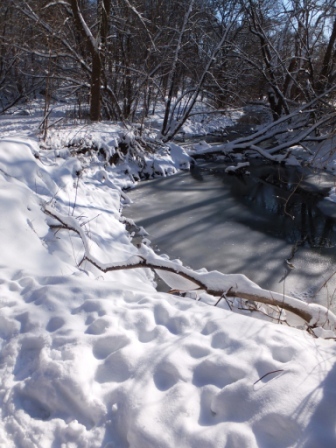 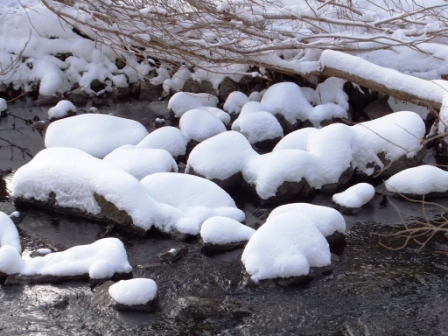 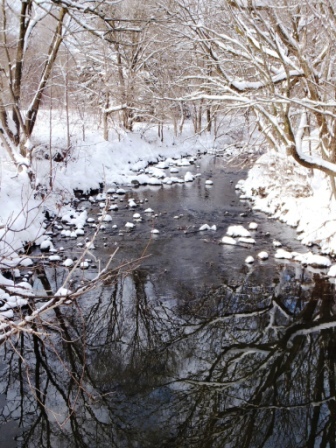 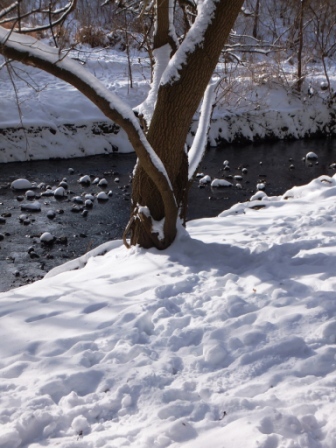 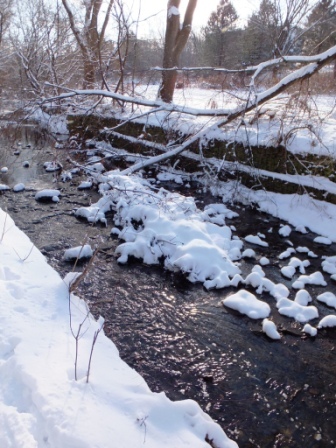 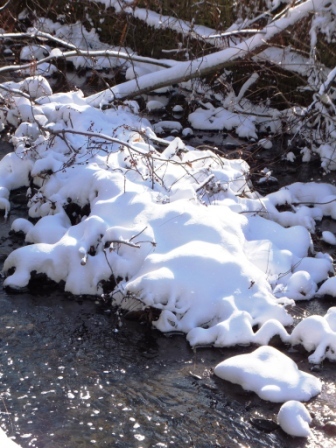 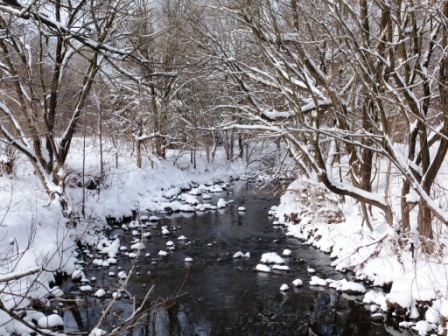 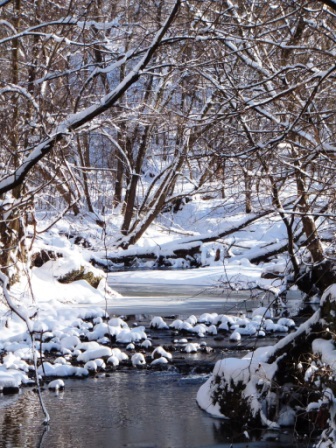 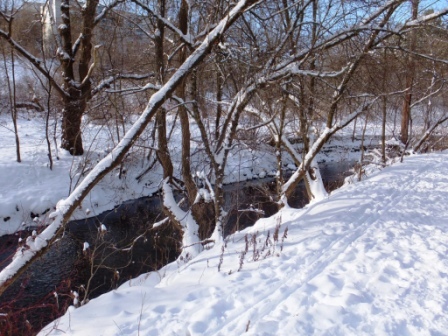 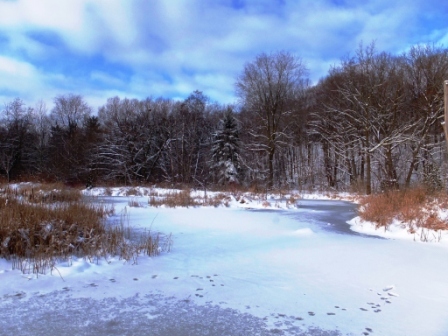 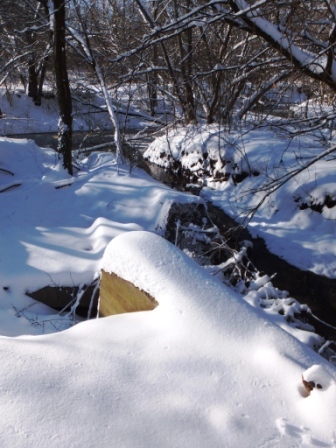 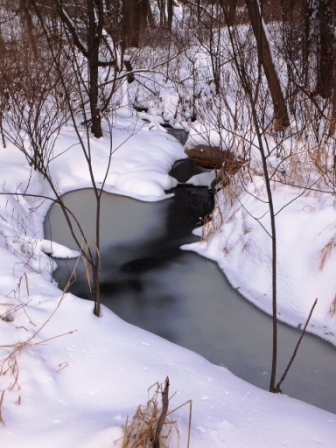 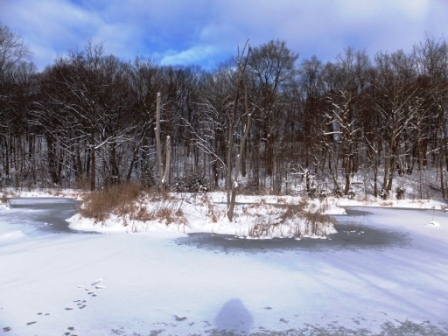 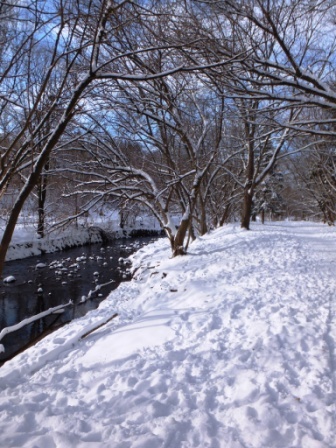 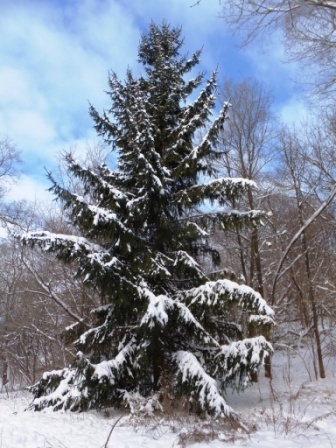 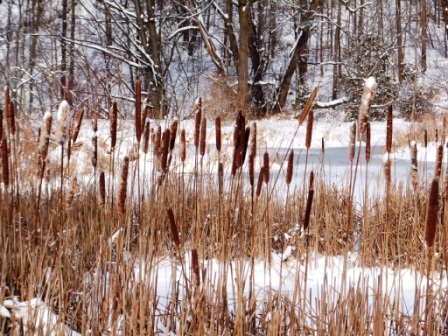 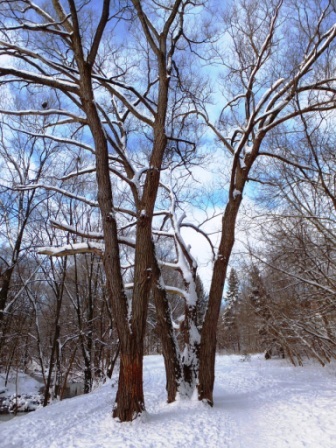 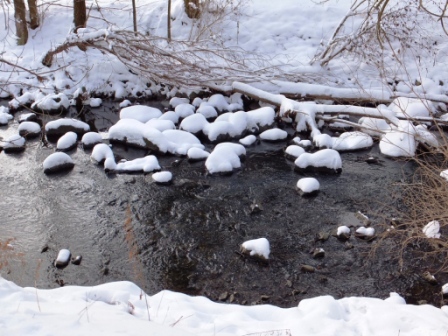 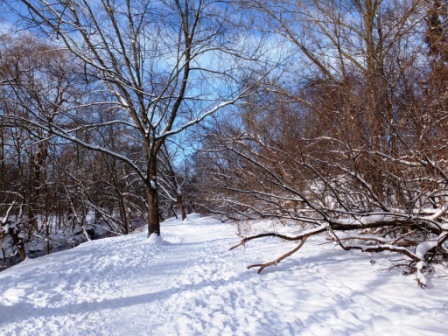 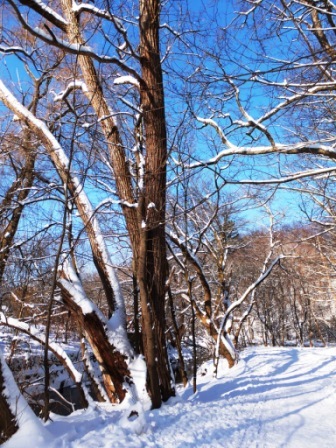 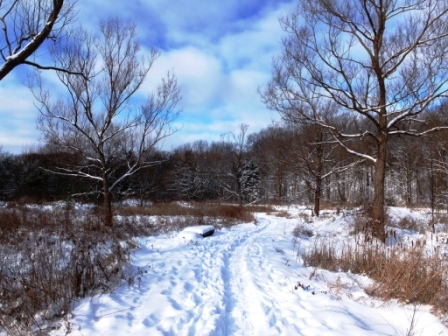 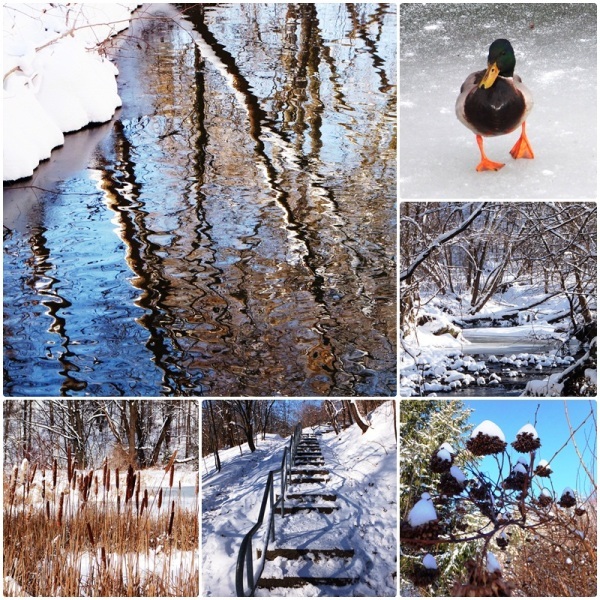 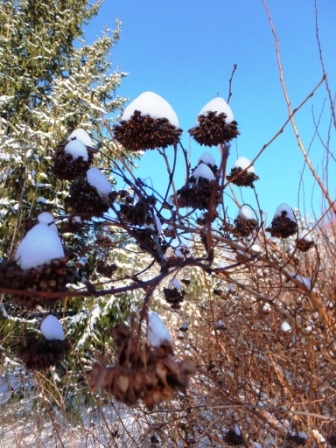 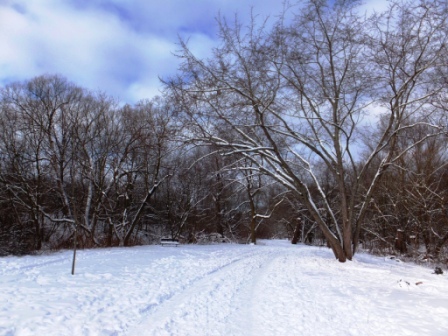 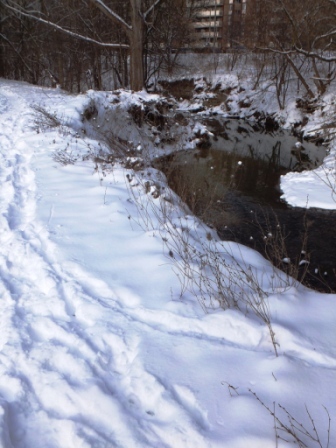 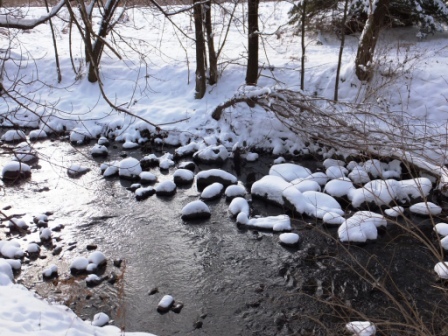 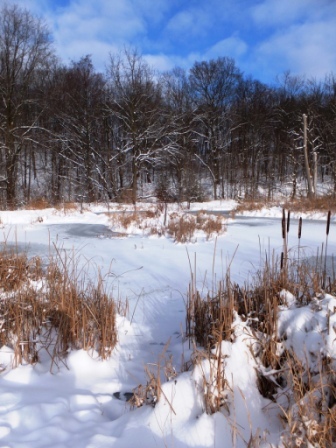 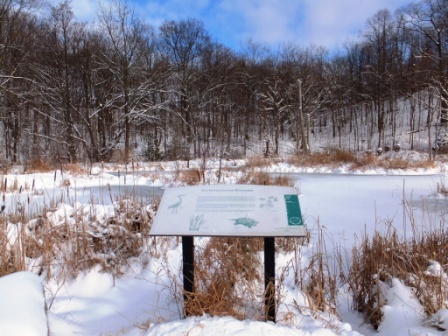 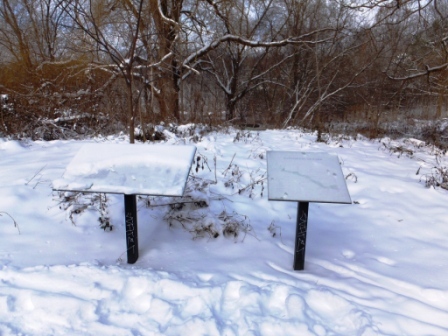 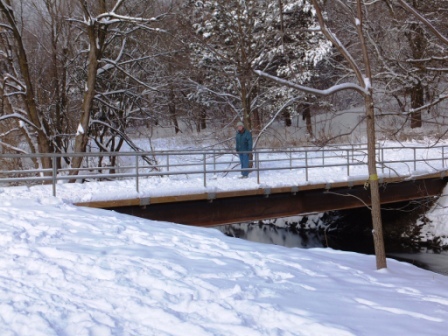 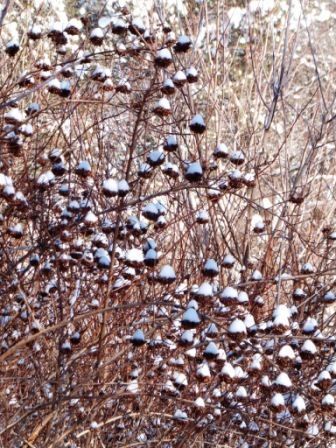 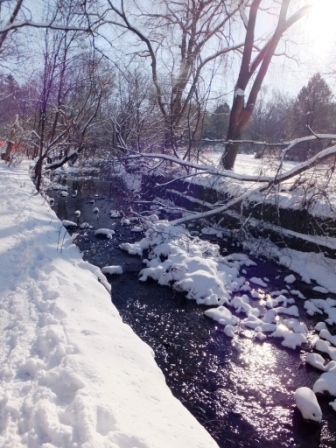 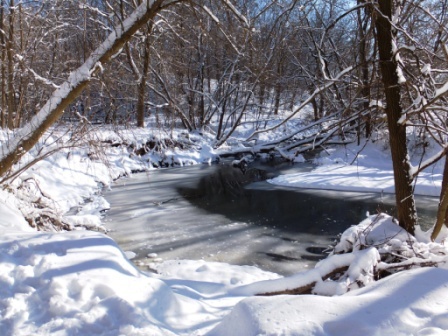 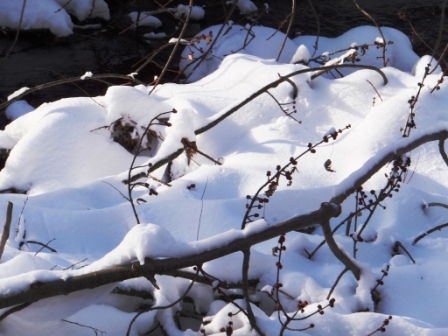 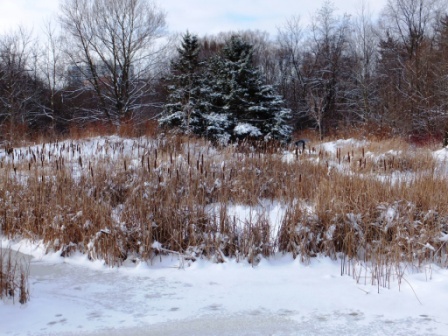 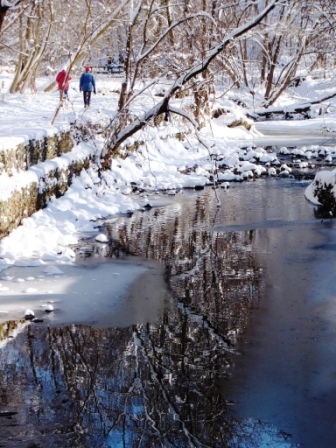 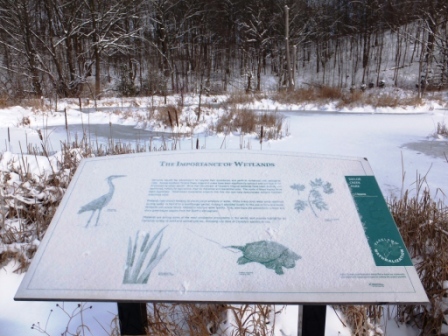 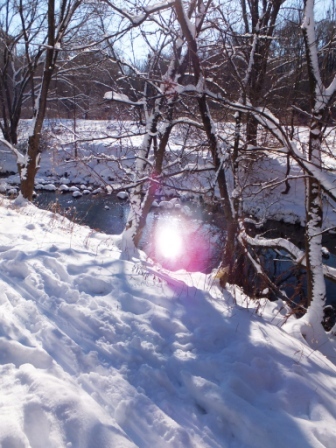 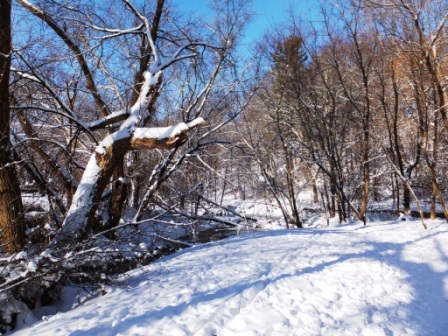 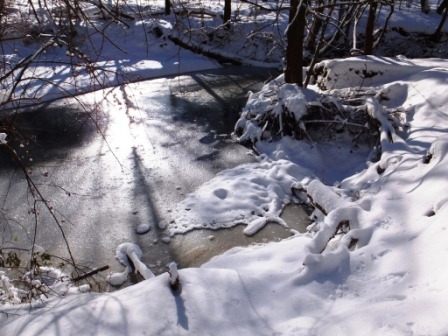 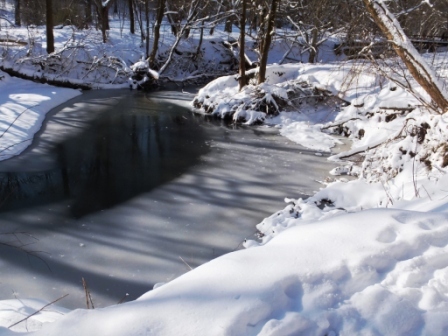 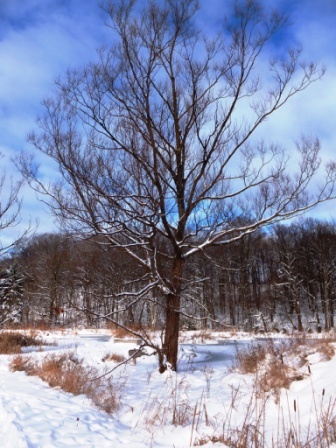 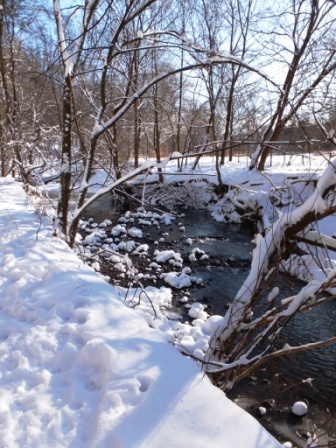 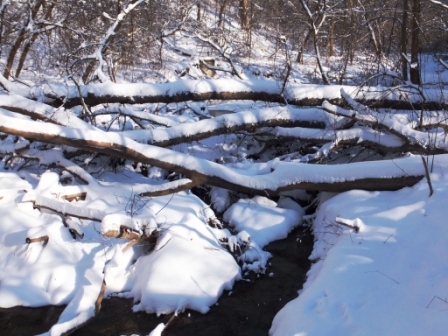 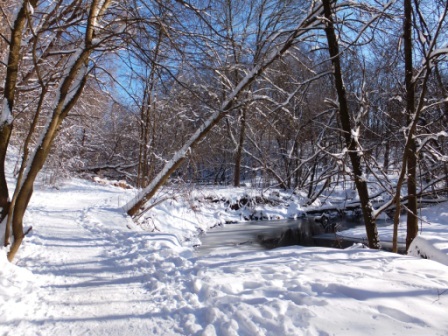 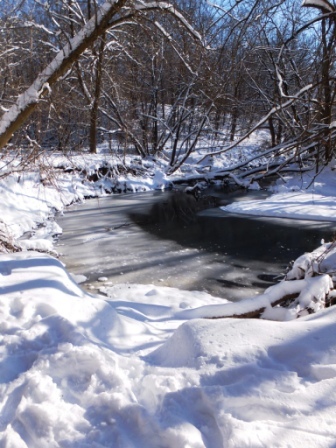 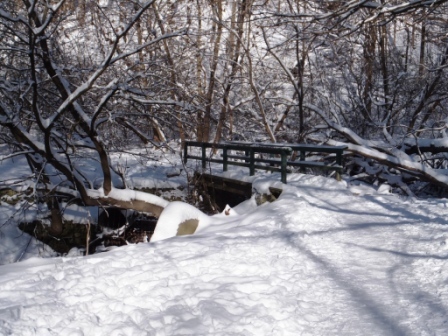 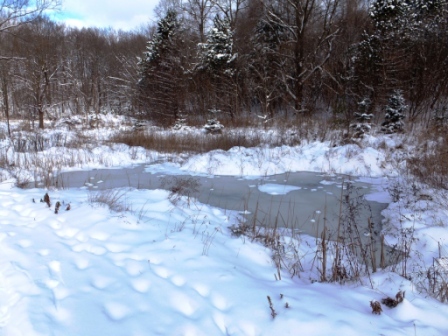 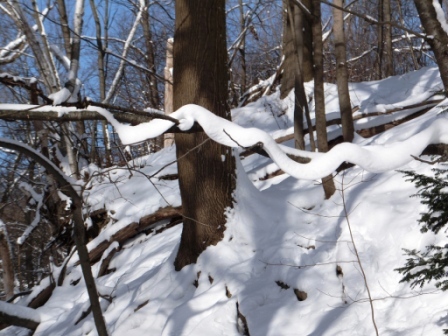 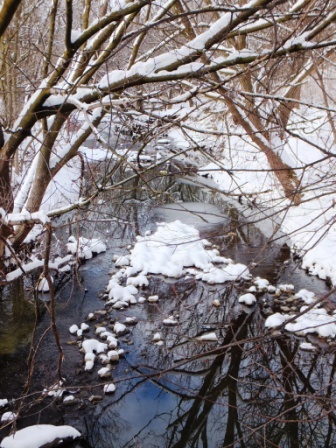 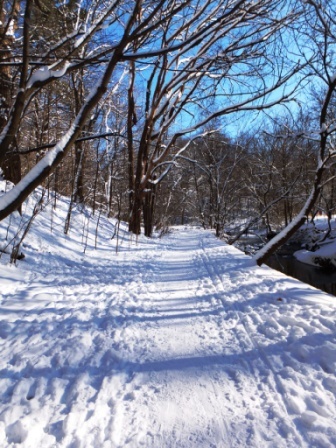 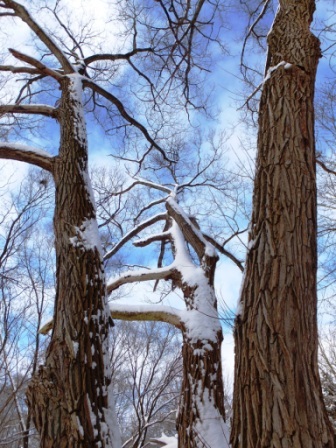 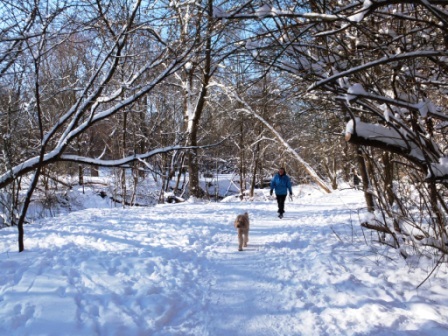 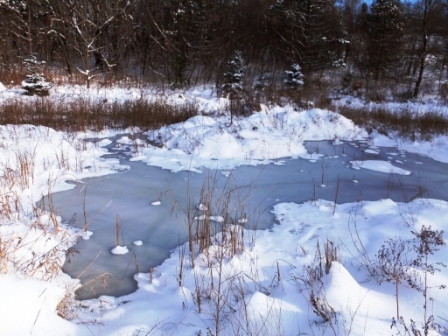 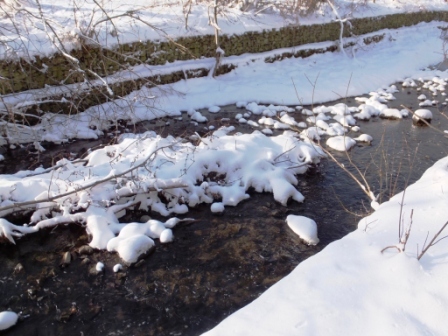 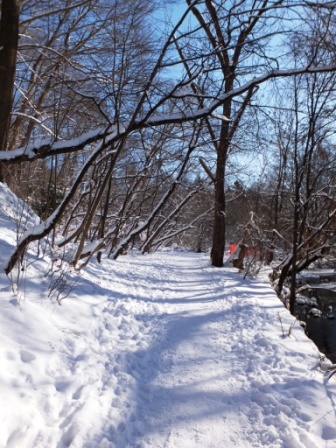 Another favourite Toronto nature walk of mine is Tailor Creek Park in the city’s east end, which turns into a winter wonderland, especially after a fresh snow fall. 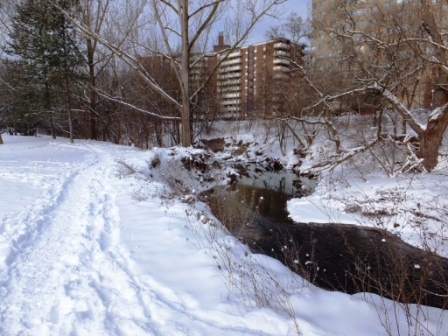 With almost 370 parks throughout the city, the Toronto walking and hiking opportunities are virtually limitless. 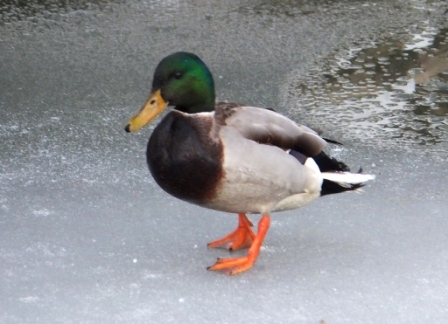 Right downtown there is a great skating rink right in front of City Hall. 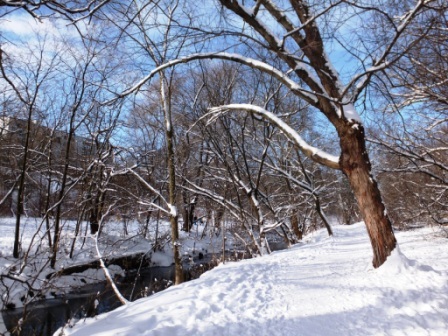 The view from the rink of Toronto’s New and Old City Halls is phenomenal and it is free to skate there. 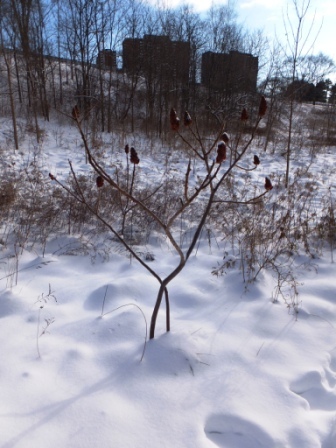 There is also the ice skating trail at the Toronto Brickworks, which is surrounded by old industrial buildings. 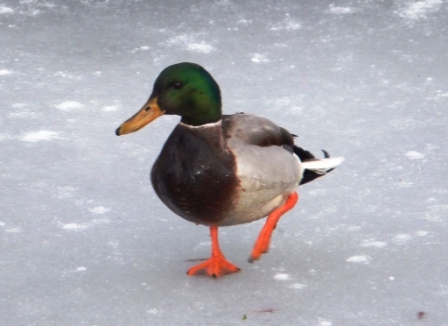 Skating at Harbourfront is extremely popular; it is also free and accompanied by music from 10 am to 10 pm. 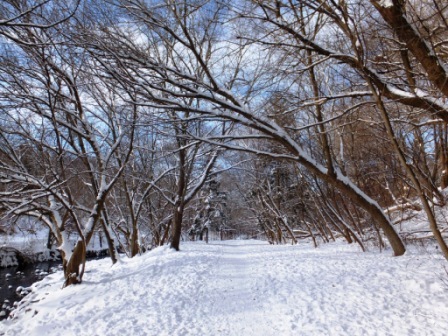 Colonel Sam Smith Park in the city’s west end has a 250 m long skating trail. 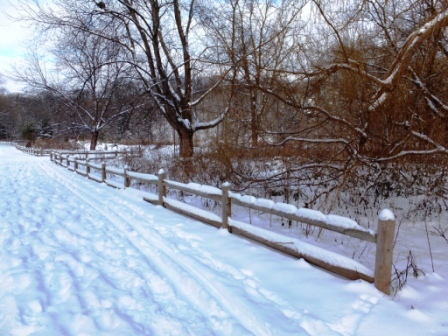 The city has plenty more outdoor rinks and indoor arenas to choose from. 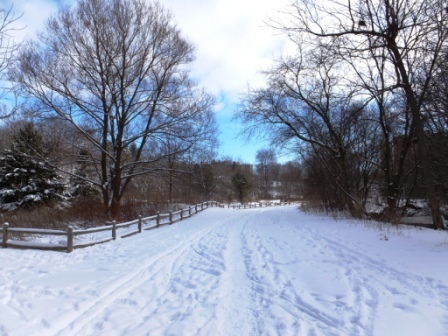 Believe it or not, Toronto actually has two downhill ski areas: at Centennial Park (near Renforth and Rathburn) and at Earl Bales Park (near Bathurst and Sheppard Avenues). 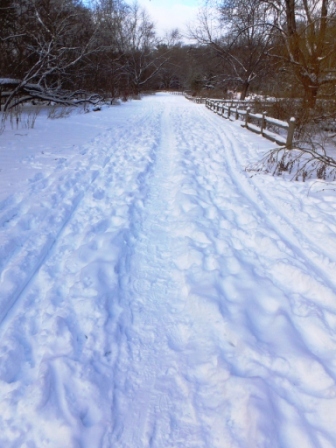 While there you can rent skis, snowboards, helmets etc. 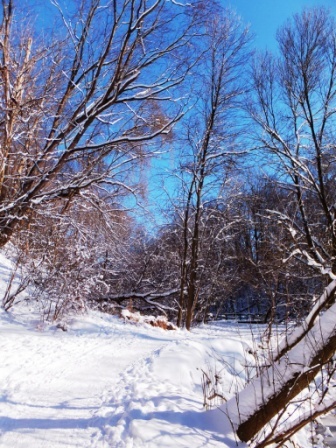 and you can even get some ski and snowboarding lessons. 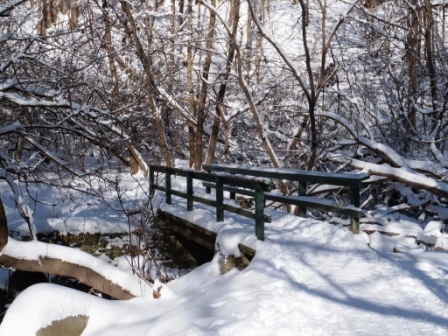 This is probably a Toronto travel idea you did not expect. 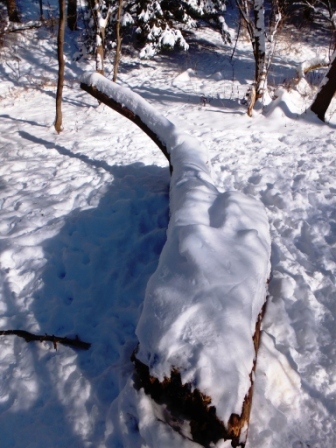 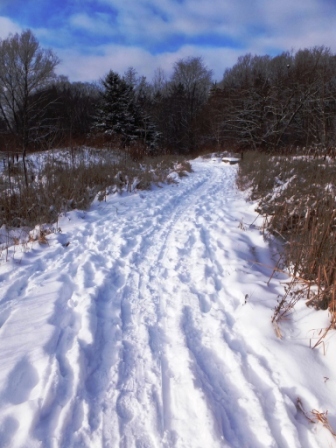 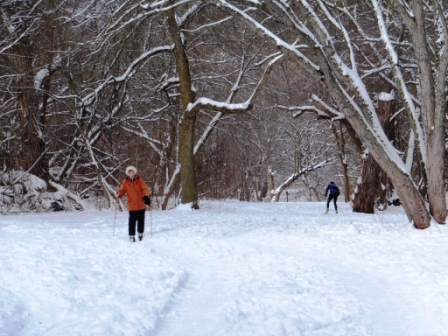 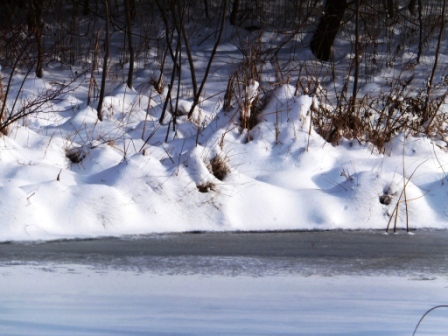 Toronto’s extensive park system provides great opportunities for cross-country skiing. 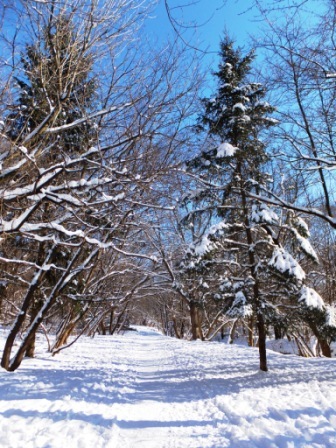 Whether it is Humber Park, the Don Valley, Tailor Creek Park, Rouge Valley Park, High Park, the Toronto Beaches or many other parks, the opportunities for free cross-country skiing are huge. 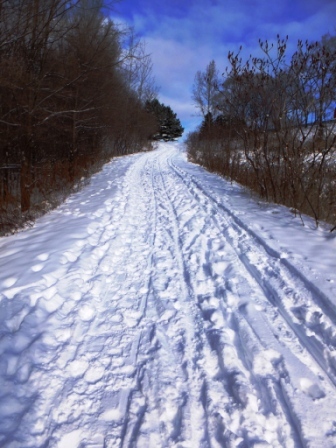 There won’t be any groomed cross-country trails, but your fellow skiers will groove the snow pretty quickly and create some useful tracks. 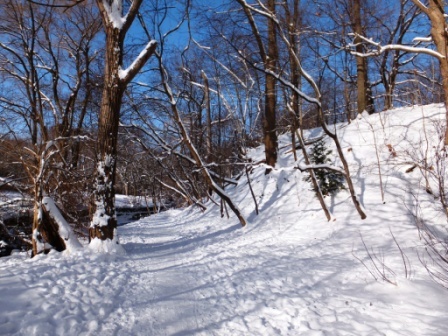 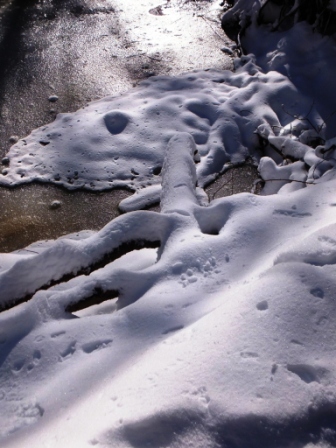 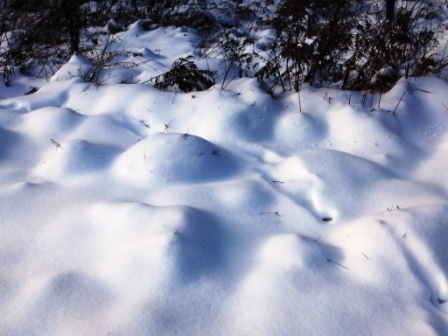 The same areas will offer you snow-shoeing opportunities as well. 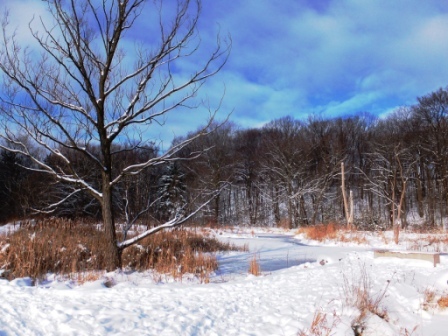 Given Toronto’s overall flat terrain you would not think that there is much tobogganing available, but some of the city’s parks actually do offer some really nice toboggan hills. 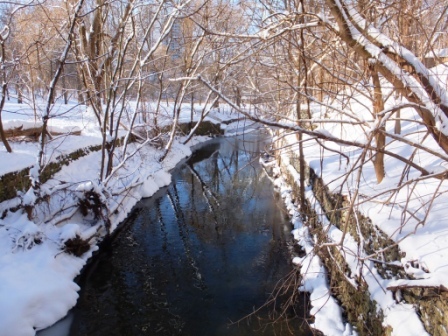 My favourite is Riverdale Park West, just off Broadview Avenue between the Danforth and Gerrard. 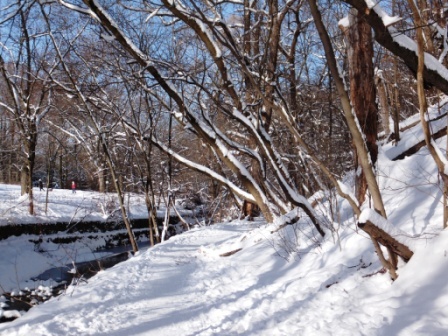 Here the tobogganing comes with a great view of Toronto’s downtown skyscrapers. 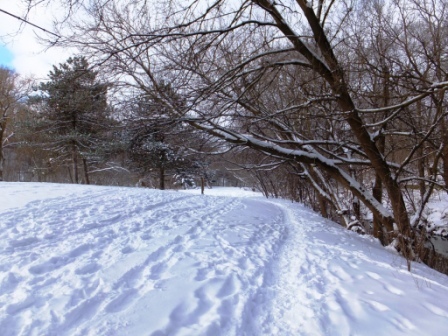 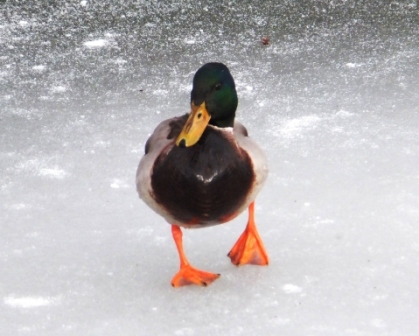 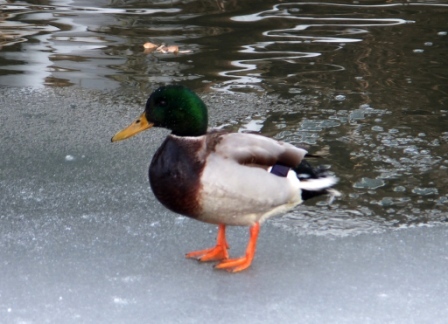 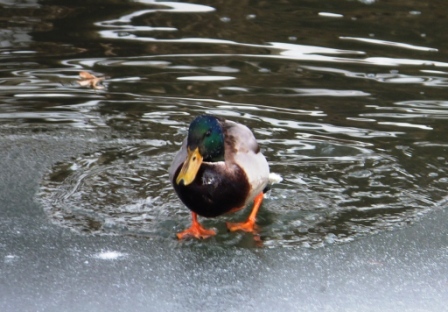 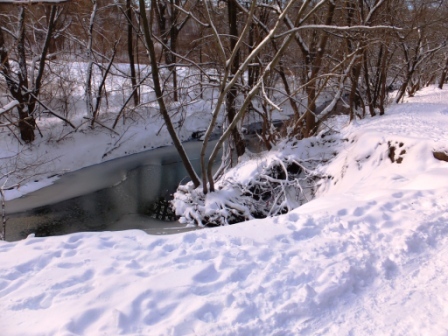 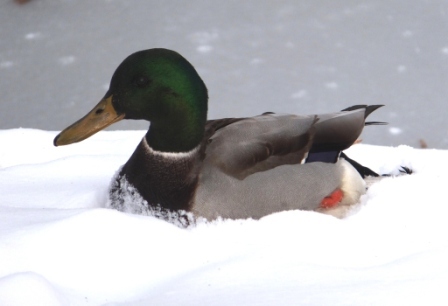 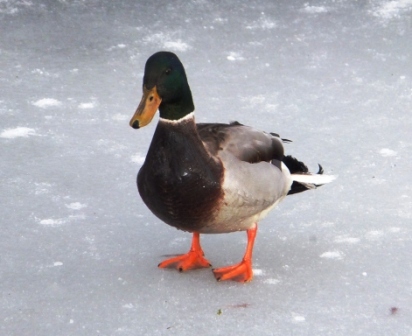 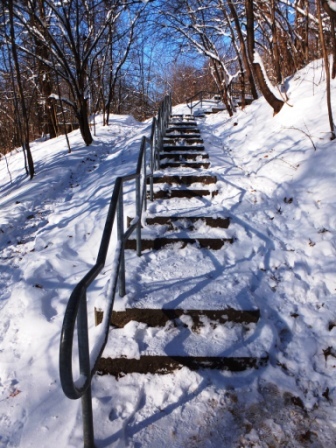 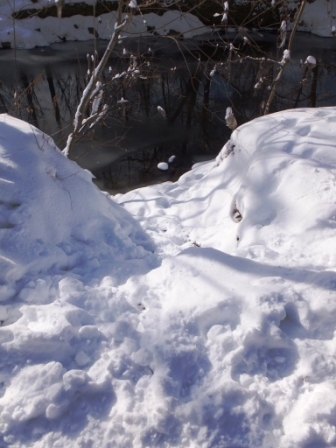 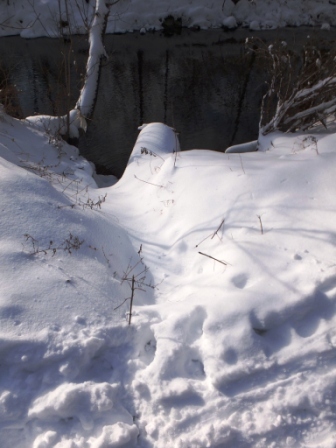 Here are a few other popular tobogganing spots in Toronto: Christie Pits, Fairmount Park, Moore Park, Withrow Park, the Don Valley Ravines and many more.